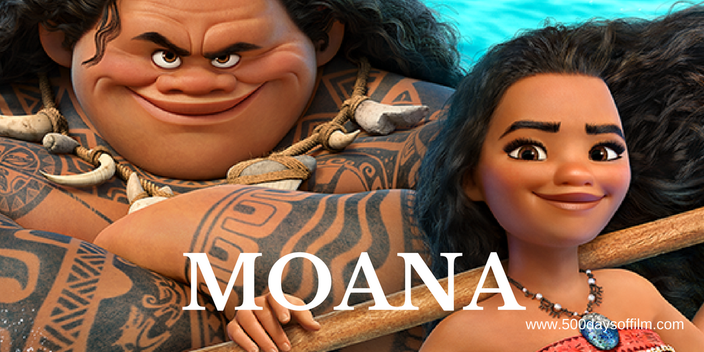 When life on the beautiful Polynesian island of Motunui comes under threat, adventurous teenager and future tribe chief, Moana (voiced by Auliʻi Cravalho), decides to leave the security of home and sail out on a dangerous journey to save her people. However, in order to complete her quest Moana needs the help of the mighty demigod Maui (voiced by Dwayne Johnson). Together, they voyage across the open ocean on an exciting and action-packed adventure. Click For More Movie Reviews, Film News & Events! It may be set in a warmer location, but Moana has much in common with another Disney film that you might just have heard of… Frozen. Both films feature strong, inspirational female leads, wonderful music and stunning animation. Both movies deal with the search for identity. Moana is a beautiful, entertaining and family-pleasing film. Directed by Ron Clements and John Musker - the filmmaking team behind The Little Mermaid, Aladdin and The Princess & The Frog - Moana will make your heart soar and leave you singing for days. When Maui playfully tells Moana “if you wear a dress and have an animal sidekick, you’re a princess” we laugh at the in-joke and appreciate just how far Disney has come. Yes she wears a dress and yes she has an animal sidekick (a hilarious chicken called Hei Hei) but Moana has so much more to offer. Beautifully voiced by newcomer, Auliʻi Cravalho (an exciting actress to watch out for in the future), Moana is brave, adventurous and spirited. Strong enough to find her own path, she has no need for a ‘love interest'. Moana is the hero of this story. Hollywood take note - this is what a young female role model looks like. The pairing of Auliʻi Cravalho’s Moana with Dwayne Johnson’s Maui works like a charm. The two have wonderful chemistry together. Johnson has so much fun with this role and, as a result, so do we - his key song, “You’re Welcome”, is brilliant. Indeed, Moana’s entire soundtrack is glorious - featuring music by Lin-Manuel Miranda, Mark Mancina and Opetaia Foa‘i. Warning, there are major ear worms here. Days after watching the film, I am still humming Moana’s inspirational song, How Far I’ll Go. As well as being a joy for the ears, Moana is a feast for the eyes. The film’s animation is innovative and endlessly impressive. I loved Maui’s moving tattoos and the visualisation of the sea that calls to Moana is stunning. Moana is a wonderful, inspirational and entertaining family film. 2016 has certainly been an extremely good year for animation. The name Moana means deep water. The depiction of the ocean reminded me of the water in James Cameron’s The Abyss. The lava monster in Moana (the one that you see in the trailer) may be frightening for young children. Have you seen Disney’s Moana? If so what did you think of this movie? I’d love to know your thoughts! Feel free to leave me a comment in the box below!